Respectively, number of tourists is increased by 19.3% in 11 months, while international travelers – 7.9%. Most of the visits were made from Azerbaijan, Armenia, Turkey, Russia and Ukraine through January-November, 2016. The positive trend is sustained with the EU countries: Latvia + 25.6%, Czech Republic + 15.6%, Lithuania +15%, Germany + 9.4% and Poland +6.5%. Exceptional growth is recorded from the following countries: Iran (+494%), India (+216%), Saudi Arabia (+ 118%), China (+44%), Israel (+56.7%), Kazakhstan (+33,8 %) and Belarus (+29.7% ). 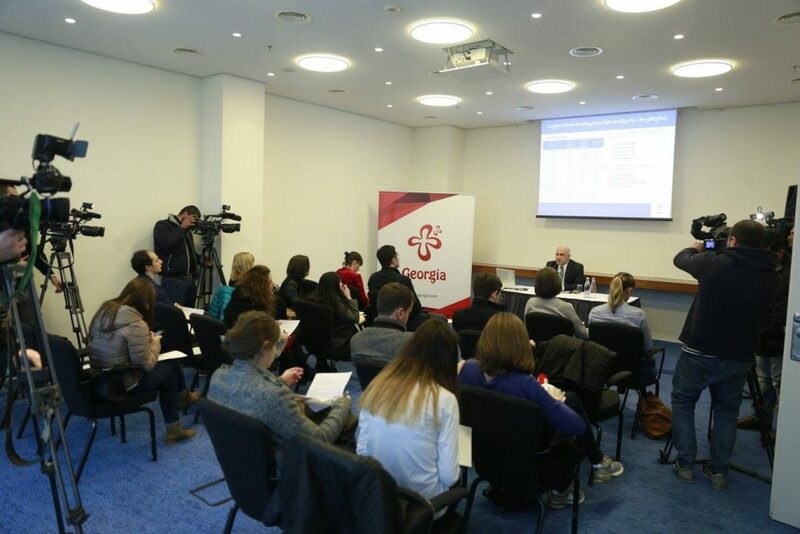 As for November, 458,496 international travelers have visited Georgia in November, which exceeds by 22,196 comparing to the same period of the previous year (growth +5.1%). Tourist number is grown by 14% and amounted to 164,440. Most of the visits were fixed from Armenia, Azerbaijan, Turkey, Russia and Ukraine in November, 2016. Exceptional increase has been fixed from the EU countries: Lithuania +71%, Poland +49%, Germany +32%, France +24% and the United Kingdom + 20%. The number of international travelers has been significantly grown from the following states: Iran +487%, Saudi Arabia +183%, India + 133%, China + 112%, Uzbekistan + 112% and Belarus + 30.5%. It should be noted, that transactions made by international travelers’ foreign cards have made up 1,351, 403 thousand GEL in 10 months of 2016, growth of 11.9% is fixed comparing to the same period of the previous year.